​Come early and party with KMM and the Maniacs! 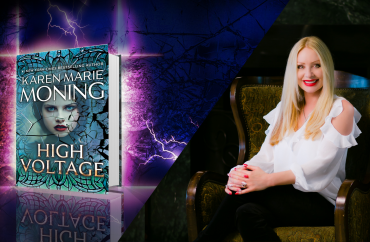 The majority of my year is spent in my writing cave so when it’s time for a book launch, it’s a reason to celebrate and I want to party with you! For BURNED I stayed close to home but now I’m ready to return to one of my favorite cities in the world, New Orleans! There is something magical about NOLA and I have so many wonderful memories of time spent there with the Moning Maniacs. I’m in the process of finalizing the details but I wanted to give you as much time as possible to plan and save. This page will be updated when we have more details. For the most up to date information, join our FEVERBORN BOOK LAUNCH PARTY event page on Facebook. When? The FEVERBORN signing is on Monday, January 18th, but we’ll be in town partying from the 15th – 19th. We’ve got a fabulous costume party with awesome prizes, a scavenger hunt and tons of other fun stuff planned for you. Where? NEW ORLEANS! I can’t think of any other place I’d rather be. There’s a lot of excitement and energy when we are all together at Le Pavillon that is certainly a memorable part of the experience. We’re often found in the lobby, the bar and having informal get togethers in the rooms. For me, the best part of doing a book event like this is getting to hang out with all of you in a central location! PLEASE NOTE: The block is for the dates of Thur. Jan 14 – Tues. Jan 19 (checking out the 20th). The original room block is sold out. Once the second room block is full, no more rooms will be available, so if you plan to stay in the hotel where the majority of the events will be, book it now. 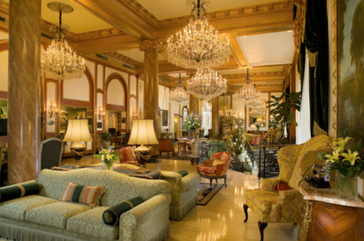 Q: Do I have to stay at Le Pavillon to attend the book signing and discussion? A: No. All you need to do to attend the book signing is pre-order a copy of FEVERBORN through Octavia Books. Click here to pre-order your book. Line tickets will be given out when you pick up your book on Monday January 18th. Q: Will there be other events at the hotel that I might miss if I don’t stay there? A: Nothing formal, although a lot of us will be spending time together, hanging out in the hotel. You never know who you will run into in the lobby, bar or restaurant. The more the merrier! Q: If I want to buy multiple copies of FEVERBORN for friends that can’t make it to NOLA, will you sign them all? Q: If I can’t attend the signing in NOLA but still want a signed copy of FEVERBORN, how can I get one? A: You can order signed books here.